Every fitness journey need not be about losing weight, it can be about self-discovery, self-realization and about leading a fit lifestyle. As I believe that fitness is a lifestyle choice and not only an external physical state. A lot of you will agree with me and many may not even understand. It is when we go beyond our mundane routine and start imbibing it in every aspect our lives, be it physical, be it food, be it even in our thoughts, that’s when we will ascertain it. 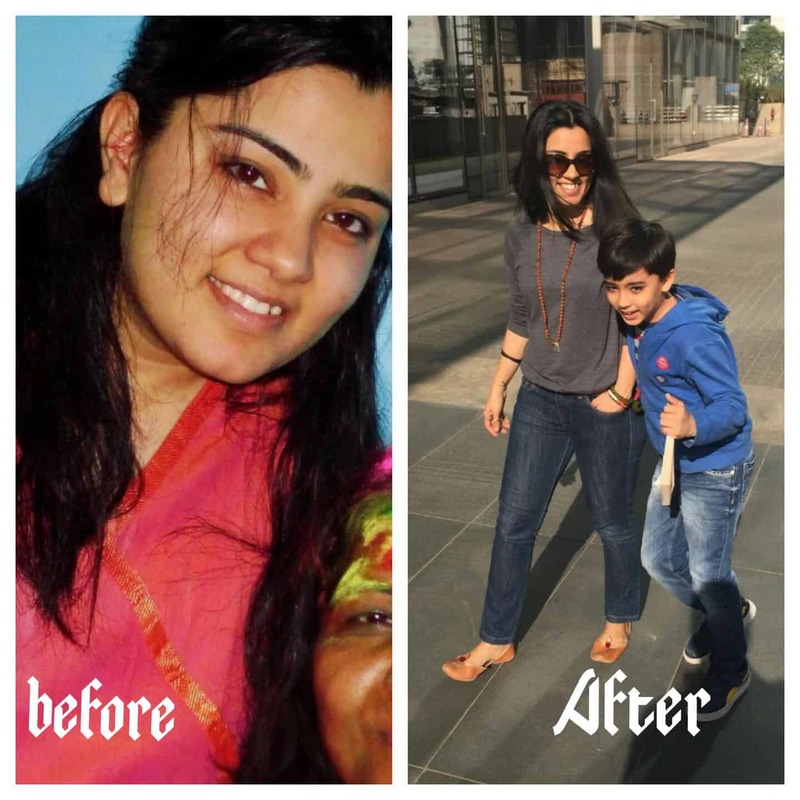 Today, we bring to you the story of another mom who has tread on the path of Yoga and fitness. ‘auto-pilot’ mode. It brings in more awareness and cleanses the body of toxins putting a stop to your cravings. Won’t it be wonderful if you didn’t have to exercise self-control to stop yourself from eating that plate of ‘pani puri’ but your body cleansed from within won’t keep you enslaved to depend on it for your happiness. You will start attracting all the positive vibes from the universe. You will become perceptive you will become( and I don’t exaggerate) -super human. Functioning at your best capacity all the time, not depending on food or sleep to energize yourself. 1) What was the main reason behind you to take up fitness? body image. This new found love and respect is what guided me to take care of myself better. This body which is my only tool through the journey of my life- starting with my fitness. 2) How did you choose yoga? So I went about discovering my way around. Of course, the easiest way was to find the next door gym but that could not keep me engaged too long, as I soon discovered the routine lacking the progression. Again this my personal experience, I guess under the right trainer I may not have experienced this or maybe I was looking at something more holistic. Something that could nurture my body and soul. That’s when I came across yoga. I like to imagine myself living by these lines said by Shri K.Pattabhi Jois- Yoga is 99% practice and 1% theory. It’s about experiencing, feeling and discovering how or what your body feels like during the practice. It’s not something that someone can teach you, it’s not something that can be attained by short-cuts. It is your journey, no one else’s. I love this uniqueness that Yoga offers. 4) Why Yoga and not another form of fitness? Even if you take the spiritual angle out of yoga and look at it only as a physical practice. It’s still complete in itself. Under the guidance of a good teacher, you will see it helping you become both flexible and strong at the same time. In my knowledge, very few other exercise forms can offer this. I had also dabbled with Pilates, TaiChi and Zumba apart from strength training and cardio at the gym before finding my peace with Yoga. Yoga works on your whole system. The breath work both in Vinyasas and Pranatams strengthen the cardiovascular system which when combined with ( depending upon how strong your practice is ) stretching, arm balances, inversions can give you access into your body that you never knew existed. Not just that I also see yoga as an equalizer, if you’re approaching it as a male, who are generally stronger and more muscular, yoga helps them get flexible and for women, who are inherently more flexible, gain strength. it’s almost like your yoga practice can take you to perfection – a balance of strength, flexibility and balance. Now that’s the best part. Everyone can do Yoga – young, old, male, female, rich, poor, educated or not. It’s is for everyone. Guru Sharath says, there is one kind of a person who can’t do yoga – the lazy one. However, specifically for women a little break while menstruating is suggested so that the body doesn’t over stress. Apart from that all are welcome to try and enjoy it. 6) How to start doing yoga? This is most common question that women ask me. There are so many styles, so many kinds so many teachers that it can be overwhelming. First things first, if you are getting a call towards Yoga , do not ignore it but embrace it. See if any of your friends pursue it and join them for their class. Keep trying and experimenting flamboyantly till you find a teacher or a class that resonates with you. Try out Iyengar, Hatha, Ashtanga and may more . Try yoga in different cities. Check online if there are classes around your hotel and go for them. 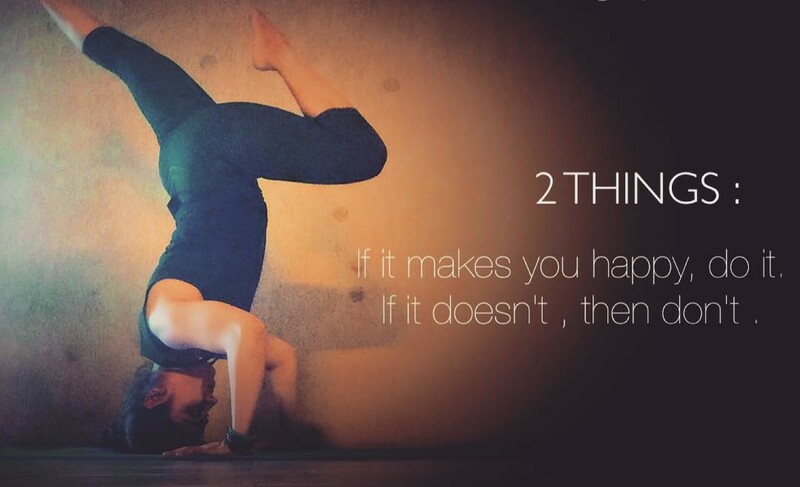 Worst case scenario if you cant do any of this, make yoga a part of life -your everyday life. Watch TV cross legged, eat on your table but with your legs crossed, walk to places, stand in a tree pose while waiting for your child’s bus or while cooking. and keep looking for your teacher. Your teachers are your destiny too so keep looking for them. For inspiration and videos you should check out her instagram handle and can also follow her journey through her facebook page. She is also my yoga guru and I train under her. I believe she is awesome and an example to every mom/woman that it’s never too late to imbibe fitness in your journey. Throwback to this article that I had done last year highlighting the importance of Yoga for women and interviewed Ruchi Kapoor from CitYogini …turns out my first statement was all wrong…I have followed her journey and she has lost oodles of weight women…so yes..reforming it..Yoga and mindful eating as Ruchi would like to give credit to her weightloss. So yoga does help you lose weight too amongst other benefits :)..that’s a happy revelation for me!! What a fabulous post! thnx for sharing Prerna. This post is great & really inspiring. I am surely gonna follow her journey. Very inspiring post indeed. And yes, its never too late to start! Wonderful insights. I am an ardent fan of Yoga, infact as I write this both my daughters are doing yoga in their Yoga class.